How would you cope if you suddenly became a carer? I released an e-book that recounts my personal journey through a family tragedy to a different life as a primary caregiver. Seven years ago I had a conversation with a surgeon that abruptly made me a carer to my eldest daughter, Emily. On February 1, 2012, a phone call informed me that my 22-year-old daughter had fallen while skiing in America, had broken her neck and would never walk again. Everything changed in an instant. It is hard for people to comprehend what is involved when suddenly becoming a carer for an adult child. Nothing could have prepared me for the physical and emotional rollercoaster involved while addressing Emily’s traumatic injury. However, there is light at the end of the tunnel and I wanted to share some of my experiences, to help others in similar situations after an unexpected trauma. I’m a nurse, with over thirty years’ experience, so although I understood the medical environment and terminology I was still as emotionally befuddled as any parent would be in a comparable situation. Acute trauma is vast and overwhelming, my heartfelt, honest writing within the book gently guides other ‘unexpected’ carers through the minefield of emotions that such a catastrophe throws up whilst unveiling the coping strategies I learned within a memoir. They are strategies formed using my personal observations. Catastrophe is immense and individual yet we all share similarities under stressful conditions. I’ve funnelled the big questions into chapters so you can walk through them to pick and choose the action plan that suits you best. I can’t stress enough the importance of health, fitness and wellbeing. Carers need to take time for themselves as individuals so they remain fresh and engaged in their caring role. I balance my life more easily with help from family and friends, my strong support network is integral to my achievement and my continued strength; mental, physical and social. My book gives insights into self care and suggestions for anyone trying to support a carer in crisis. With the gradual passage of time, we have found that there is life after trauma. It’s just different – and it can be brilliant in really unexpected ways. 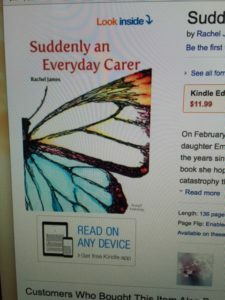 Suddenly an Everyday Carer available now on Amazon. Dedicated to Carers – all proceeds are going to SpinalCure – an organisation committed to funding research to end paralysis. Joanna Knott from SpinalCure Australia commends the book. You can purchase my book from the Kindle Store using the Safari browser and deliver Kindle titles to the Kindle reading app on your iPad, iPhone, or iPod touch. 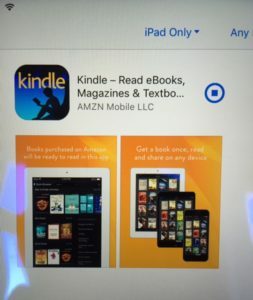 Your device must be connected to a wireless or data network in order to download Kindle content to your Kindle reading app. Sign in to the Kindle Store with the same Amazon account you used when you registered the Kindle reading app. To buy a book, tap Buy Now with 1-Click. Click Read now to open the book in your Kindle app. After you purchase, your titles are automatically made available for download within the Kindle app on your iPad, iPhone, or iPod touch. From the Home screen of the app, tap on a cover to download that title. The book is available on Amazon now. Posted the link above. I added you to my subscribers so you will be notified when a new post is published. 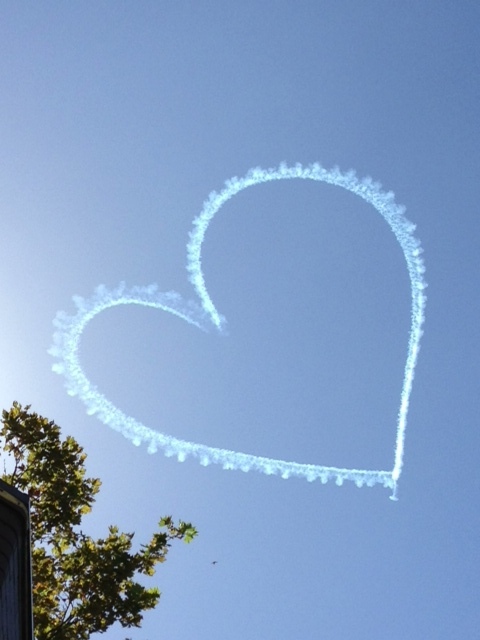 Thank you and I hope you enjoy the blog! Follow my blog – open http://www.everydaycaring.wordpress.com.au , go to latest posts, in the top right hand corner is a follow button – fill in your email address. Thank you – please share to others too.